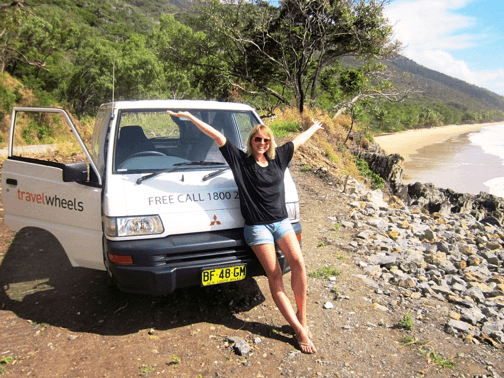 Travelwheels have great specials on campervan hire Australia deals available all year round! Call our team on 0412766616 for our latest low price offers on campervan hire across Australia! Remember here at Travelwheels we offer an extra 10% discount for Sydney to Sydney booking all year around! 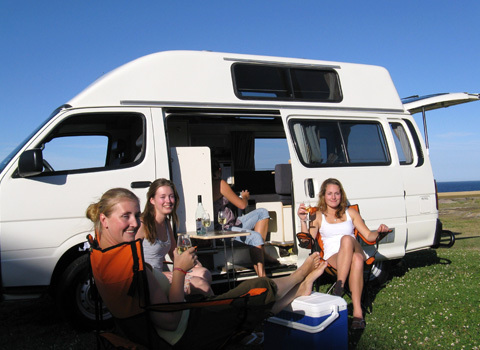 Campervan Hire Australia Deals and enjoying the sunshine! First of all, here at travelwheels there are NO HIDDEN EXTRA COSTS with our campervan hire Australia deals! When you book with travelwheels campervan hire everything you need to hire a campervan in Australia is already included in the price! In the meantime before we talk about our discounted campervan rental deals, it is worth doing some basic research. For example do you know when is cheapest time of year to hire a campervan in Australia? campervan hire Australia deals – Which way is cheaper – cairns to sydney campervan hire or sydney to cairns? For instance most people start from Sydney and head to Cairns. Straight away just by stepping back and thinking about this can save you a lot of money. If in particular everyone is doing this route, then for the most part if you reverse the route it will be so much cheaper! For example you can save up to 50% of campervan hire in Australia, but starting in Cairns and returning the camper to Sydney! Here is our guide written from customer reviews and feedback on things to do between Cairns and Sydney. In addition to these pages it is worth reading our free camping on the East Coast of Australia guide. This will also save you a lot of money on your campervan road trip in Australia. Click on the instant quote button below for our best deals on Campervan Hire Australia Specials. Remember we offer a campervan price match guarantee on all trips back to Sydney! 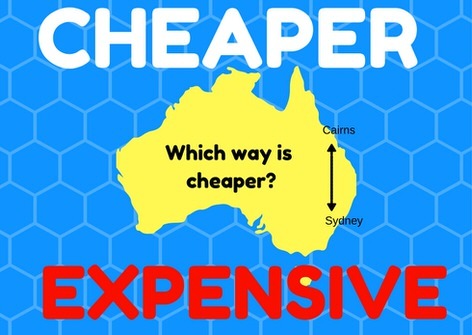 Are you for example still looking for the cheapest campervan hire Australia deals? Together with Travelwheels Sydney to Sydney Campervan Hire Specials, this will be your best bet for xmas camper hire! We guarantee to beat all our competitors for Sydney to Sydney Campervan Hire outside of the peak xmas period. Simply call our team on 0412766616 for our latest offers and deals. If you can book your Campervan Hire Australia Deals in advance, then it’s guaranteed to be even cheaper! If you are looking for cheap flights and accommodation to Sydney, then check out www.kayak.com. 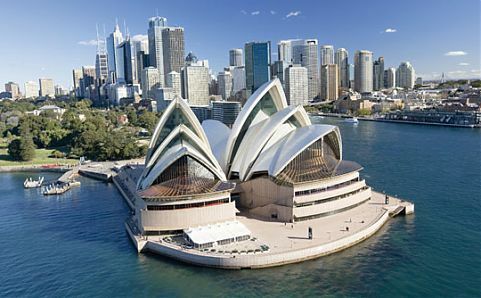 For more background information on things to do in Sydney check out this website www.sydney.com. 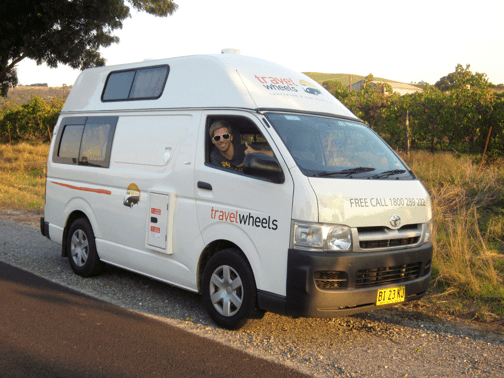 Travelwheels Campervan Hire have 3 different styles of Campervan Hire Australia Deals for you. Remember with us the price we quote on our website is the price you will pay! NO HIDDEN EXTRAS!!!! Below are the links to our most popular campers we rent across Australia. You can call our team for our latest offers on campervan hire Australia deals on 0412766616. We have staff that can speak Deutsch and Français. The 2 Person Campervan Hire vans are easy to drive, and everything you need is already included in the price! Remember this 2 person campervan hire van has a full size 55L fridge! For example most of our competitors only have an icebox or tiny fridge in their small two person campervans! With travelwheels our small campervans have full sized fridge and you will need this with all this hot weather we have in Australia! Our 3 Person Campervan for Hire has everything you need for your trip around Australia already included in the price. You don’t pay extra for chairs, tables and the living and cooking equipment. Call our team in Sydney on 0412766616 in English, Deutsch or Français. Our team will give you the latest specials on campervan hire Australia deals. Furthermore you can always email us at [email protected] to ask for a quote. Are you looking for automatic campervan hire in Australia? Then give our team a call on 0412766616 for our latest campervan hire Australia deals! We price match on our Sydney to Sydney Automatic Campervan Hire Deals. If it out of peak season such as Christmas or Easter, then we will guarantee to beat all competitor quotes. All you have to do is make sure the quote is for a similar age, style vehicle and we will beat our competitors price! All our Campervan Hire Australia deals come with the following already included in our prices. No extra hidden costs or secret charges that a lot of competitors do! 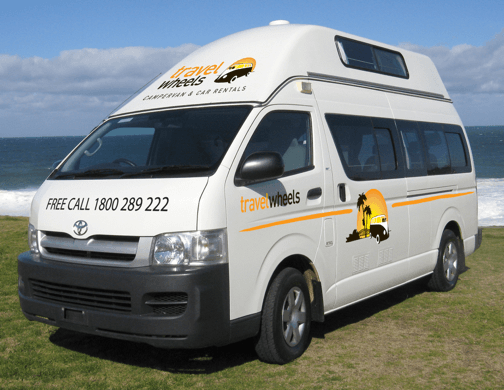 Travelwheels campervan hire Australia deals why choose us? The answer is simple, our staff all have extensive knowledge on what works, and what doesn’t work! All our campers for hire in Australia have Australian Roadside Assistance included in the price of campervan hire. Above all our staff are here to help and we can speak deutsch and Français as well. We try to be as flexible as possible when it comes to campervan rentals in Australia. If you need to change your dates or extend your trip whilst on the road, we will do our best to help. For the most part it is as simple as calling Travelwheels on 0412766616. From here we will sort out all the details for you. Therefore as long as there isn’t another booking behind yours, then normally we can extend or change a booking easily. Note, at peak seasons like Christmas or Easter it is subject to availability. We are conveniently located close to major airports. Therefore you don’t have to drive an hour to pick up your campervan from the airport! It’s easy to fly into Australia and within an hour you could be behind the wheel of your campervan. This way you can start having fun straight away and not wasting a valuable moment of your Australia adventure holiday. Here is a link to the Travelwheels Sydney Campervan Hire Depot which is very close to Sydney airport. Contact Travelwheels for campervan hire Australia specials. Our staff will show you how great customer service, and extremely knowledgeable staff can help plan your trip. We all love to travel around this magical country and want to share our experience of a fantastic holiday in Australia with you! For free friendly advice about hiring a camper in Australia. All you have to do is contact us and our fun loving friendly staff will get back to you with a great quote for you. You can contact us by clicking on the email us button below or call on 0412766616. If you are overseas, then probably easier and cheaper for you to either Skype us at = travelwheels. Alternatively you can visit our depot in sydney at 11-15 Clevedon Street, Botany, 2019, Sydney. Campervan Hire Australia Deals online now! We will price match all our competitor quotes for campervan hire in Sydney. 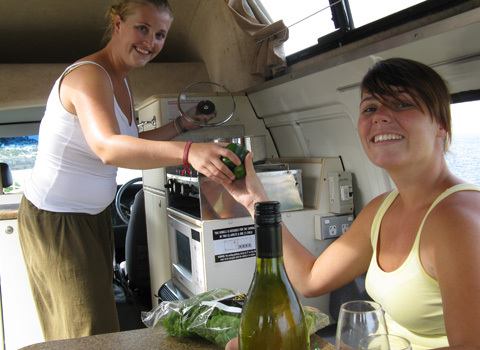 Easy to use kitchen and living area with Campervan Hire Australia Deals!